You probably know by now how much I love reading memoirs, especially travel memoirs set in France, and also how much I enjoy cycling adventures in France, so it will come as no surprise to read how excited I am about this story I’m about to tell you. In 2015 a man named Paul who lives in Leicester was involved in a serious car accident that left him needing an emergency airlift to hospital for amongst other injuries, a badly broken leg. While Paul was recuperating he did a bit of reading and one of the books he read, which also happens to be one of my favourite travel memoirs, had a big impact on him. Susie Kelly’s Best Foot Forward, her funny account of her solo walk from La Rochelle to Geneva, inspired him to plan his own adventure across France, once he had recovered fully. 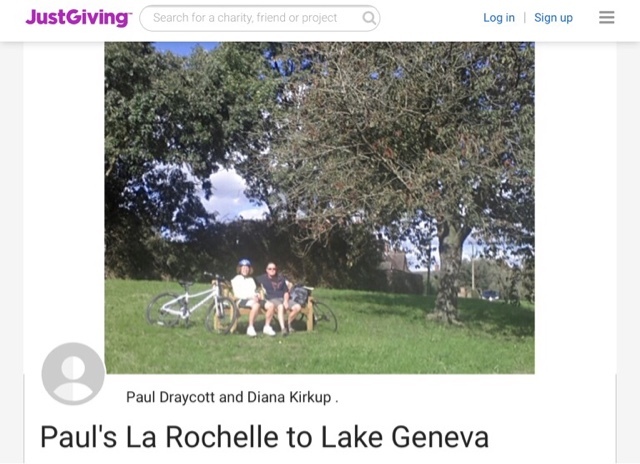 Thanks to the wonderful world of social media I met Paul online right at the beginning of the planning stage of this adventure, an 11-day bike ride from La Rochelle to Lake Geneva. My first thought was “oh, wow, I’d love to do that”. La Rochelle, on the Atlantic coast of France is one of my favourite places for a day trip and if you head east from there you will eventually end up on the other side of France, in Geneva. Paul has always enjoyed cycling, although never undertaken a challenge like this, but he is not travelling alone. The other half of his team is wife Diana, whose experience on a bike is pretty much limited to what she has done in their training. I hope you are as impressed by this as I am, although you might be thinking, wow, but why? They are so grateful to the help Paul received from Derbyshire, Leicestershire and Rutland Air Ambulance, they are doing this (in place of a summer holiday) to raise money for them. Each air rescue costs around £1,700 and that is their fundraising goal. Here is the link to their JustGiving Page, if you would like to help them on their way. Yesterday, their second day in the saddle and almost 100 miles into their 550-mile journey, took them to a pretty little B&B just outside the Charente village of Verteuil-sur-Charente, only about half an hour from my home. It was too good an opportunity to miss meeting up, so with each of us armed with good (homemade) filling food, local author Susie Kelly, her husband Terry and I provided a little welcome committee for them. It was a lovely evening of fun conversation and I really am rather jealous of their get up and go. They may have been inspired by Susie and her book, but they were both a great inspiration to me. I know how tired and hungry I am after a day on the bike so I was impressed at how fresh they looked and how sociable they were. Thanks for taking the time out of your recovery hours to sit and chat; bonne courage mes amis and may your route to Geneva be fast and flat! You can follow their progress on their Facebook page here and if you happen to see them as they make their way across France, do give them a wave and say hello from me. My contribution to our dinner picnic was my courgette quiche, you can find the recipe here Susie, made without the lardons for a vegetarian option. 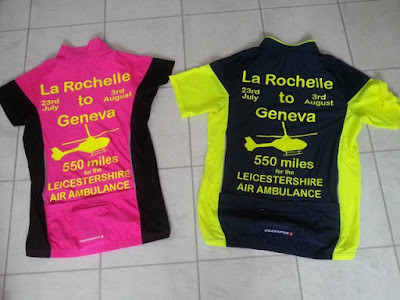 One day I will be planning my own La Rochelle to Geneva adventure, it's a promise and you heard it here first. Today as part of a blog tour I’m reviewing To Provence, With Love, the new release by TA Williams. When the dream job falls unexpectedly into Faye’s hands, at a time when getting away from her current situation is nothing short of perfect, she jumps at it, despite many unanswered questions. 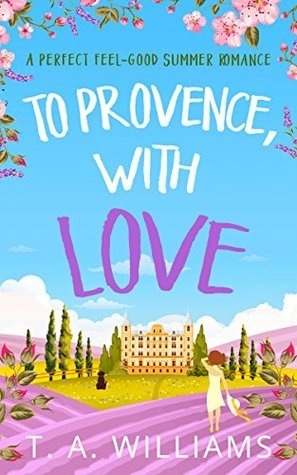 As a teacher who has self-published a thriller, it seems a little strange to her that an elderly Hollywood icon, living a private life in Provence, feels she is the ideal candidate to move in for a six-month contract to write her biography. Faye finds herself in a chateau, surrounded by lavender fields and grape vines and falling in love with Marlon, the Labrador. While the villagers are welcoming, the local farmer seems distant and aloof and she also finds there is a lot more for her to discover than just Anabelle Beech’s fascinating life and career in the movies. I can’t deny certain parts of the plot were obvious to me from quite early on, but I still enjoyed Faye’s journey of discovery and healing. The sense of place, with fabulous descriptions of the lavender harvest, was very special and made me want to pack a bag and head straight to Provence. 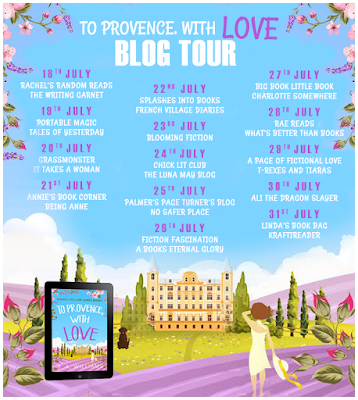 This is a light-hearted read, with some weighty emotional issues, that would accompany a chilled glass of rosé (or Champagne if you prefer) and your summer holiday to perfection. A link to Amazon can be found below. My review today is for the third and final book in the La Cour des Roses series by Helen Pollard; Summer at the Little French Guesthouse. We find ourselves back in the Loire Valley in France with Emmy, where alongside running the guesthouse with Rupert, she is establishing her own business and planning her imminent wedding to Alain. It was great to be back. 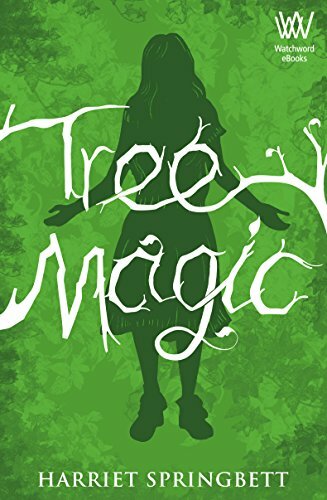 I slipped between the pages easily, loving being back with characters that have become familiar and whose company I enjoyed like good friends. 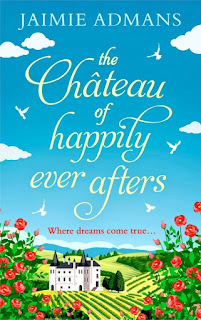 Throughout the series Emmy has established herself as someone dependable, who can be relied on to keep calm in a disaster and organise everyone into a happy ending. However, this time it’s her happy ending that is in jeopardy. She finds herself up against her controlling mother, who has the ability (as some mothers do) to make Emmy feel like a rebellious teen once again over the finite wedding details. Things are also complicated in Alain’s family, meaning lots of drama for our usually cool and collected bride-to-be. There were certainly enough last minute hiccups to raise my heart rate as I was reading it. I can honestly say there was nothing I didn’t enjoy about this book and although books one and two in the series are very good, Helen has left the best till last. I’m sad to be saying goodbye and can’t help feeling how lovely it would be to book a holiday there. Meet my friends for real, take a stroll around the market, listen to the Jazz band and of course sample one of Rupert’s delicious meals. I can only hope Helen continues to take us to France in her future books. Wherever you are going on your holidays this year, take one (or all) of these books with you; I can’t recommend them enough. All three books in La Cour des Roses series are published by Bookouture and are available in paperback and ebook format from Amazon, links can be found below. 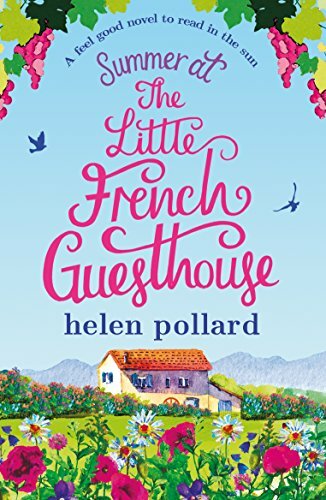 You might also like to read my France et Moi interviewwith Helen here and my reviews of her other books in the series can be found below. 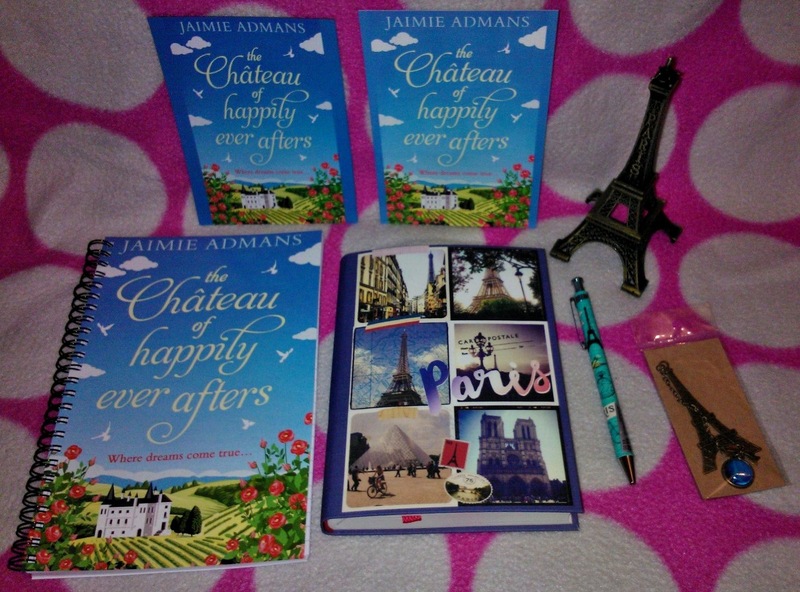 Those of you who are regular readers may remember my post in August 2015 when I regaled my two days of literary heaven at the very first Charroux Literary Festival, a local event that created quite an atmosphere in our corner of rural France (read more here). Exciting news! This August, 24th to 26th, the Charroux Lit Fest is back and if you book your tickets before Friday 21st July you will qualify for an Earlybird discount of 20%. 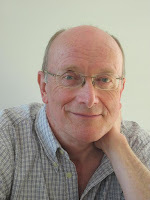 I’ve booked mine and if you are local, or fancy a literary-themed short break in France then click here for more information on who is appearing and how to book. My three day Earlybird ticket has only cost 28€ and I’ve put my name down for 14 sessions over the three days which works out at a bargain 2€ per session! Yes, just 2€ to meet, listen to and learn from authors whose books I’ve read as well as discovering authors who are new to me. 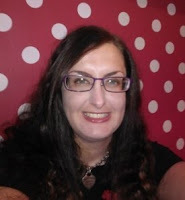 Some of the events are talks by authors about their books, inspirations, genres or journeys to publication, but I’ve also bravely signed up for a few writing workshops too, which makes me equally nervous and excited. Last time I found it was a sensory overload, but I loved every minute of it. "Charroux is dominated by the remains of the great 8th century tower, a reminder that the medieval town was once one of the most important centres of Christian worship in France, a place of pomp and splendour. Today it is a small, friendly town in the sunny Nouvelle Aquitaine region, with a quaint cobbled market hall, mouthwatering boulangerie and a number of welcoming hostelries. Could there be a prettier and more inviting setting for the second Charroux Literary Festival? While I already know many of our local writers who will be attending I’m really looking forward to meeting the other authors and poets, both French and English, who are coming from further afield. There are some very big names on the programme, and the beauty of setting the festival in a small town like Charroux is that it makes it an intimate event where visitors can get really close to meet the stars of the show. With all the workshops and signings, panels and book launches, this event is going to be such a treat for readers, and of course there is the incredible Shakespeare Rocks extravaganza on the Friday evening, enjoying the works of the great man as they’ve never been seen before! 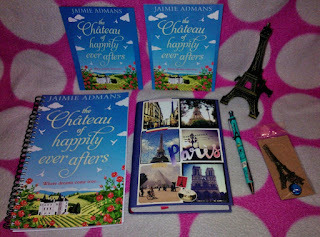 Three days of literature, friendship and fun, in the French sunshine. What more could anybody want?" Author James Vance, who I had the pleasure of introducing last time, will be back and officially launching his new historical fiction novel The Housekeeper at this years event. I really enjoyed Something Old, Something New, so am looking forward to finding out more about The Housekeeper. I'm also looking forward to meeting Vanessa Couchman, author of The House at Zaronza, as she makes her debut appearance at the Lit Fest, running a workshop on creating three dimensional characters. I'm also hoping we might hear news of her latest novel. For more information on the Charroux Literary Festival visit their website here and you can find them on Facebook and Twitter too. If you are coming along, do let me know and we can enjoy a cup of tea and a piece of cake together. Local Poitou-Charente author Susie Kelly and Blackbird Books are on a roll. One month after the launch of her brand new memoir Safari Ants and Baggy Pants, they have now released La Vie En Rose: Notes From Rural France. 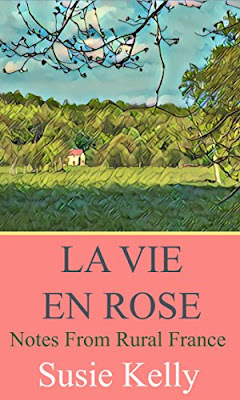 While not an entirely new release, La Vie En Rose is a collection of Susie’s blog posts from October 2010 handily compiled in one place; her musings on daily life in rural France. From strange dreams to nightmare customer service, and dining room disasters to quirky neighbours, there is a little bit of everything, all served up with Susie’s sense of humour that never fails to make me smile. Initially I wasn’t sure how I was going to feel about reading a collection of blogs as a book, however, life has been rather hectic of late and having the energy to read, follow and remember complex plots at the end of the day was proving impossible. Being able to dip into a few snippets of Susie’s life before falling asleep put a smile on my face and was just what I needed. Another great read Susie, thank you.